Hi everyone! I've got another DIY for you today, and I'm really excited about it! I've been trying to figure out something to hang in our upstairs stairwell, and nothing has been catching my eye. I decided to try this project last night, and I'm really happy with the results. 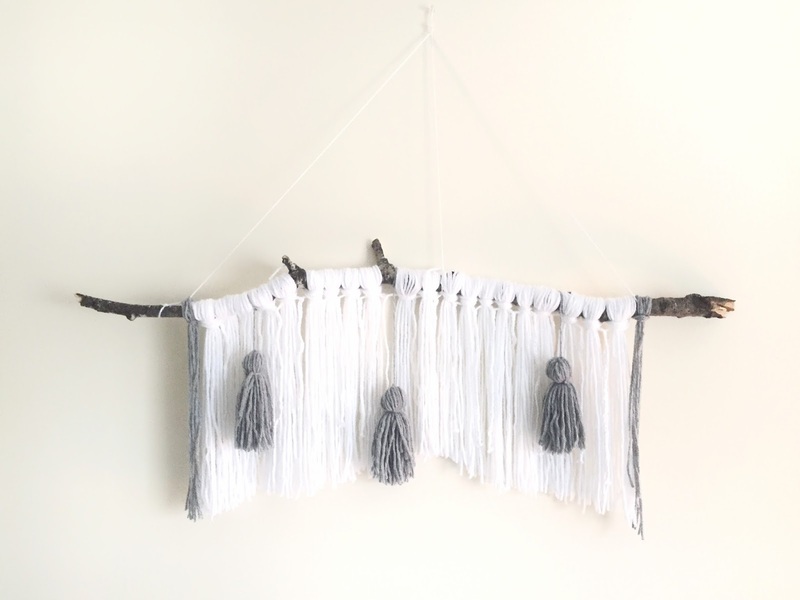 Only 3 things are required to make this wall hanging- a stick, some yarn, and a pair of scissors to cut the yarn. Pretty simple right? I used a stick that I found at my grandparents old camp during a tubing trip, so this particular stick has some meaning to me, and I love how the project turned out using it. 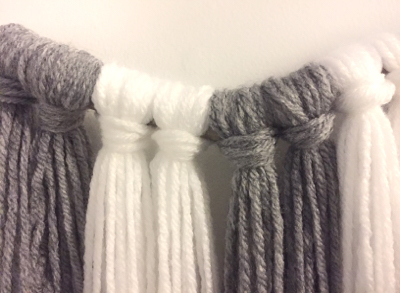 Once you have your stick and yarn, you're going to want to wrap the yarn 10 times lengthwise around a piece of 14 inch cardboard for each grouping. I used my hand and elbow instead- wrapping it from my palm, down my arm to my elbow and back around 10 times. 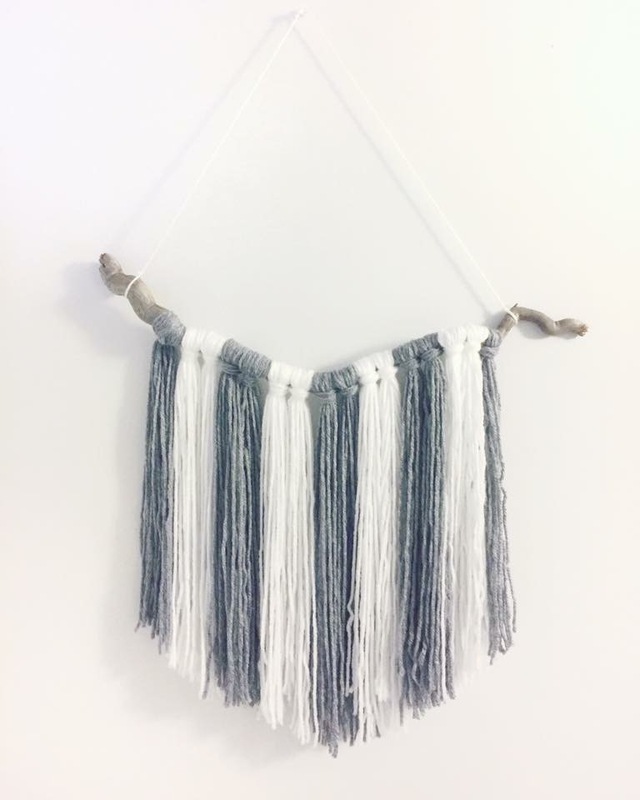 Once it's wrapped just cut it and fold your yarn strands in half. You then make these really simple yarks head knots to attach it to the stick. 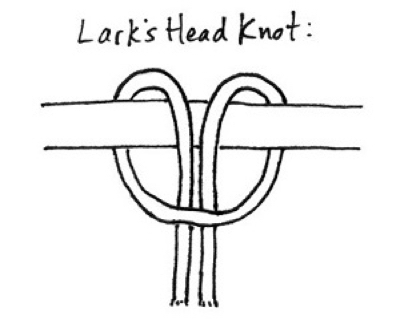 There are tons of tutorials online for this really simple knot. It's basically making a loop with the folded yarn and passing the tail through to make the knot. this shape once I was done, but you can also leave it straight across, or do any shape you want. I found it easier to cut once it was hanging up. This is the second one I made for above our bed. 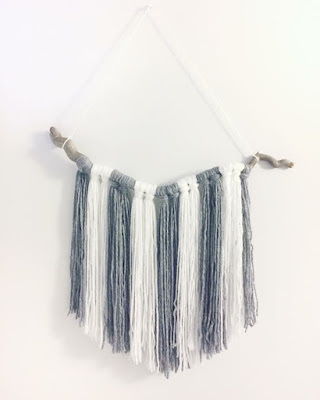 I plan on making a larger one to hang above the couch. If you end up making one, comment below and share what you made! That is super cute! I love reading DIY blog! OH MY THIS IS SO CUTE! Buying something for decor is expensive in malls! Thanks for this diy! definitely doing this! How lovely, this looks really sweet and adds a little something to the wall, and it looks fairly simple to make! Omigod! This is adorable! I especially love the tassel one at the end. Totally pinned this! This is so adorable, I love it! Definitely going to have to give making some of these a go!